Win an oven from Fisher & Paykel worth £1300 | FreebieFinder UK | Freebies, Samples, & Other Free Stuff. This month kb-eye is giving away a Fisher & Paykel oven that matches the new Companion Collection. With a 72L usable capacity, this 60cm oven is one of the largest single ovens on the market and offers 11 functions, such as Vent Bake, Fan Forced and Roast. 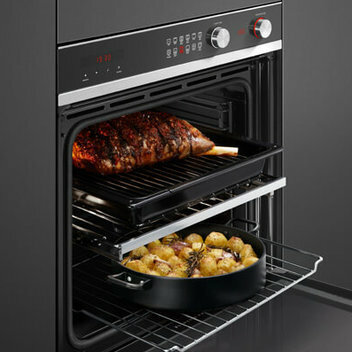 Stand the chance to cook your meals with a 60cm built-in oven from Fisher & Paykel’s new Companion Collection worth £1,300 by entering this competition on the kb-eye website.